Owner and Chef Danny Ng is a man with an eye for details and it is profoundly illustrated in the restaurant’s dishes like Spanish cure ham with gnocco fritto and oven roasted baby lamb rumps. 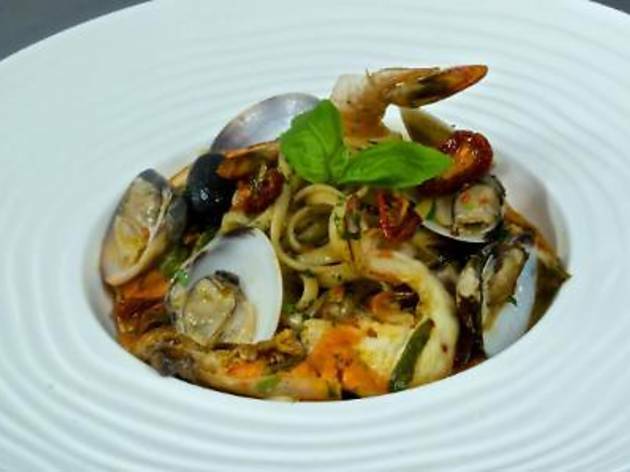 At times, he too makes a beautiful mess of things like the seafood linguine, packed with black olives, sundried tomatoes, cherry tomatoes, and lots of clams and prawns. 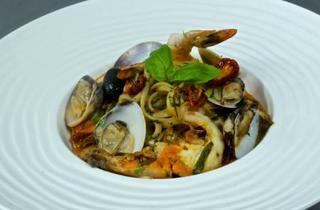 As they're constantly inventing new creations, their menu is revised on a monthly basis. Very slow. Chef and his team has no time management. Never have I been to a fine dine rest. Where I got my main and my business partner waited for 30 minute I know because we put a timer. Staff was ridiculous as when asked about our food, even without checking with the kitchen and i was given a time frame of 2 minutes for 8 times. Food was not good. Fish and garnish does not go good together, dont kid yourself. Mushroom is overcook. The only plus was the environment. If the owner is reading. Change your chef and team as they are destroying your image as a high class restaurant. Sadly for you i give you a 1 out of 5 star. 1 for the effort in the deco. Other than that nothing is good. Staff is pure useless. Thumbs down. Good try but not good enough.